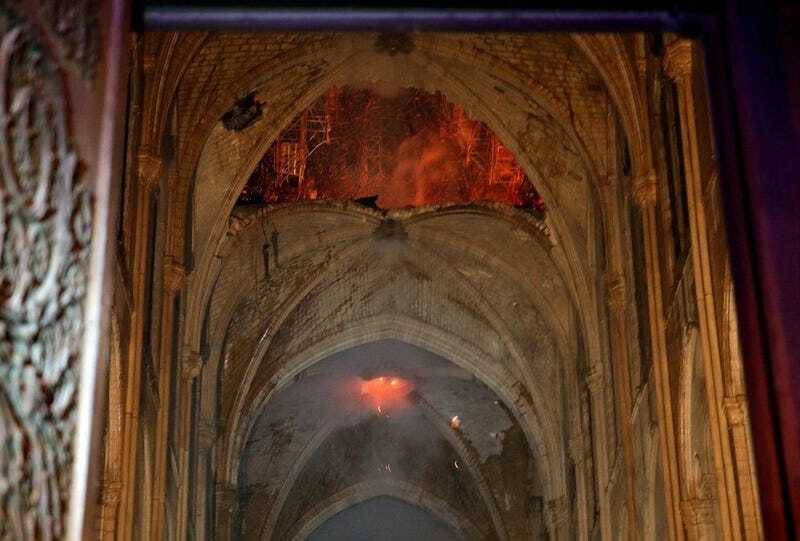 Inside the nave, as the wooden roof burned. At least one of the vaults collapsed, but it seems that the majority of the stone structure is sound. The NYT ran a very interesting piece this morning about the history of the cathedral, and about how much it has changed in 900 years since it was first laid down. It puts yesterday’s fire into some context. Over all those centuries, the cathedral was constantly remade, and now it will be remade again. Hopefully, with sprinklers. With all the turmoil in France right now, perhaps this is a fire they needed, if not one they wanted.